When choosing a new floor for your home, deciding whether to install bamboo flooring or solid wood hardwood flooring is a difficult choice. Both options look and feel great; sometimes at first glance, it is difficult to tell the difference. Often it is more difficult to choose between things that are very similar than it is to choose between opposites. 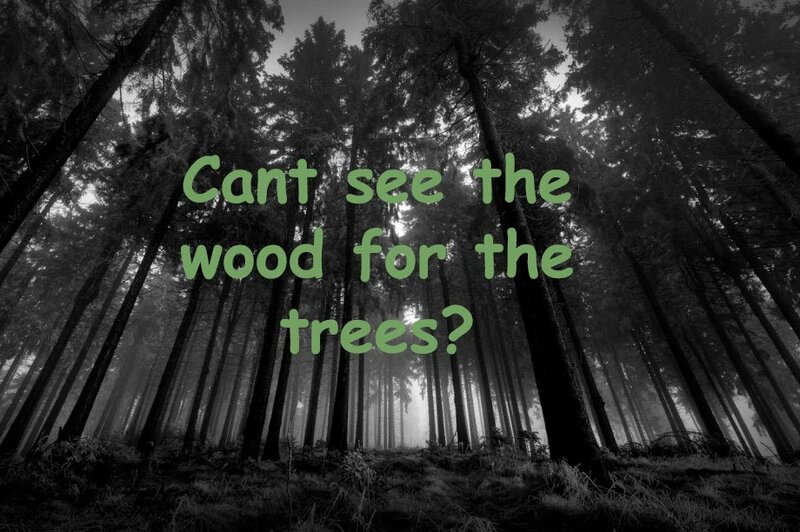 Sometimes it’s hard to see the wood for the trees. Here we will take a detailed look at these two options and point out their subtle differences. We will score each on a scale of 1 to 10 to help you decide which is the best choice for you. Let’s dive in. There are several different kinds of , and each of them has a characteristic hardness as defined on the Janka scale – an industry-wide method of assessing the hardness of bamboo and wooden flooring. The higher the Janka score, the harder the flooring and the higher its resistance to denting. For instance strand woven bamboo has a Janka score of up to 4000. Similarly, there are several different types of solid hardwood flooring, and each of these has an associated Janka score. One of the most popular choices of solid wood flooring is oak, which has a Janka hardness of around 1360. 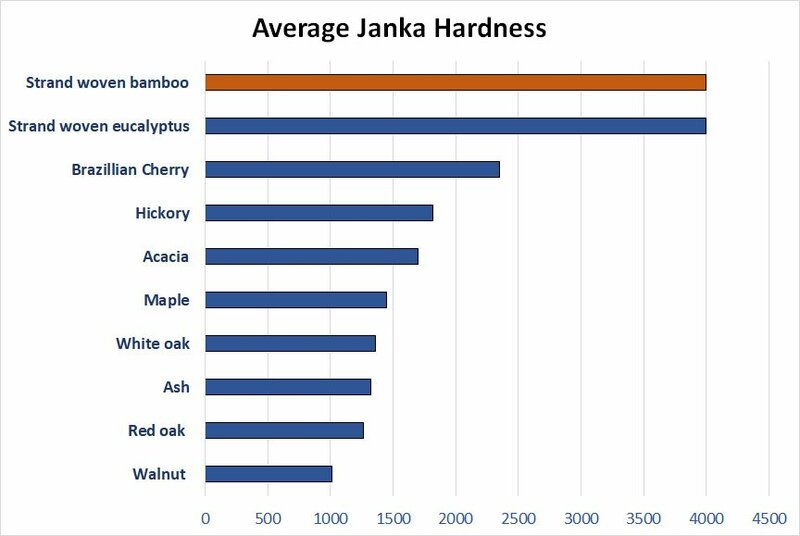 The table below shows the Janka hardness for bamboo flooring and the more popular types of hardwood flooring. 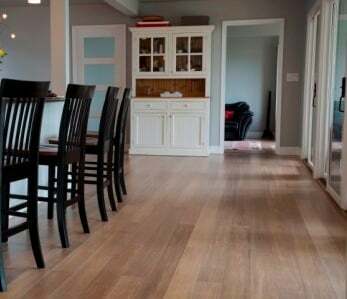 It is clear that the hardest of all the flooring types is strand woven bamboo, which is over three times as hard as solid oak flooring, the most popular form of hardwood flooring. 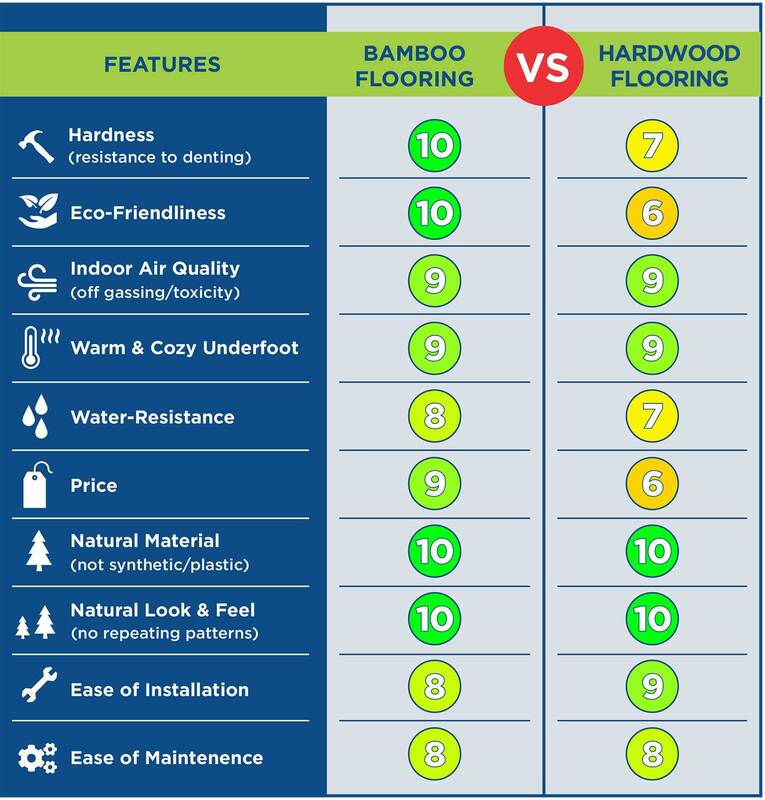 Thus bamboo flooring scores 10 out of 10 for hardness while solid wood flooring scores 7 out of 10. Bamboo is one of the fastest growing plants on the planet. In fact, according to The Guinness Book of Records one species of bamboo holds the record for plant growth speed, achieving a growth rate of 35 inches a day. There is nothing quite like bamboo for reducing the greenhouse gas carbon dioxide from the atmosphere and pumping out life-giving oxygen. Bamboo’s green credentials are unquestionable. We can harvest it without damaging the local ecosystem; the plant is mostly free from pests and disease, and it requires relatively modest quantities of water. Of course, to prepare bamboo flooring from bamboo plants does consume some resources, but this is more than compensated for by the plant itself. For eco-friendliness it scores 10 out of 10; we would give it 10+ if we could. Hardwood flooring is of course also a natural material. It comes from trees, so you might think that it has similar eco-friendly credentials to bamboo, but that isn’t at all the case. Although most hardwood used for flooring is produced from managed forests, deforestation remains an issue as does illegal logging. For more information on the environmental impact of deforestation please view the video below. One problem is the relatively slow growth rate of hardwood trees. For instance, it can take 20 to 30 years for an oak tree to mature. 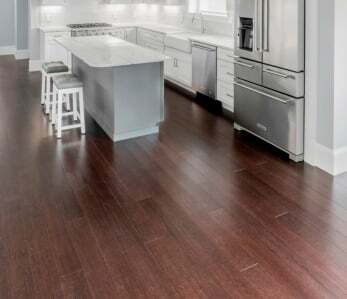 From an eco-friendly point of view, there are worse choices of flooring than hardwood, but we can only score it 6 out of 10; significantly less than bamboo. Many building materials can emit VOCs (volatile organic chemicals) and pollute your home with toxic levels of contaminants that can have a severe impact on your health. Some of these such as formaldehyde are potentially carcinogenic and even relatively small concentrations of certain VOCs can have a severe effect on people who have asthma and other respiratory problems. Fortunately, the amount of VOCs is now severely regulated, so the situation is very much better than it used to be, but it is essential to check that any materials you introduce into your home are VOC certified. 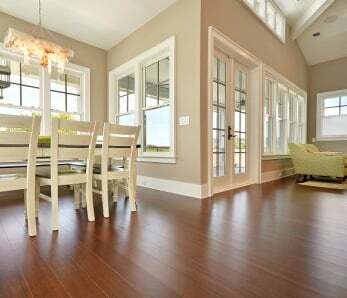 Bamboo flooring is one of the safest flooring materials you can use in your home. Bamboo itself emits such low levels of VOC’s they can’t be measured. The only possible concern, and it is a tiny one, is that the adhesives used in the manufacture of the flooring might emit tiny quantities of VOCs, but the level is extremely low and well below government regulations. Thus, we award it 9 points out of 10 for indoor air quality. 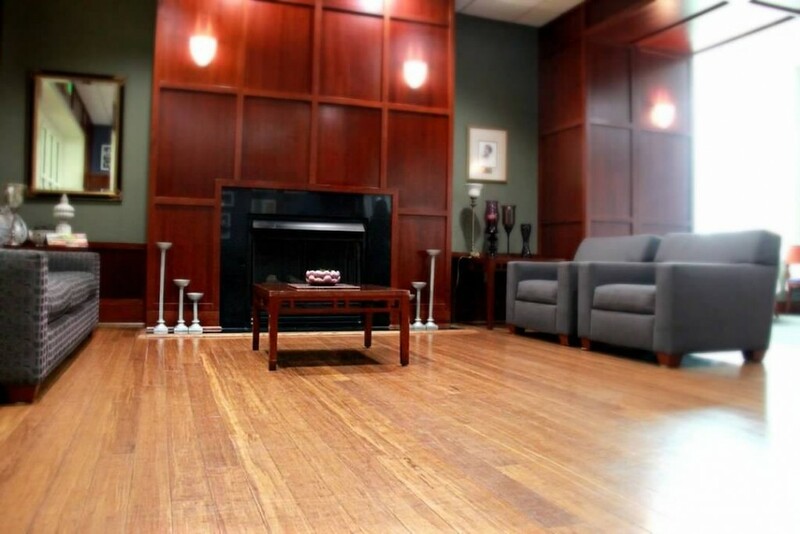 Hardwood flooring is also substantially free from VOCs. While wood naturally contains formaldehyde and other VOCs, the amount that it is likely to emit in your home is extremely small and highly regulated. You can feel safe about using hardwood flooring in your home, so just like bamboo, we give it 9 points out of 10. Do you ever walk barefoot in your home? If you don’t then give it a try – your whole body will benefit from the exercise. Of course, you need a comfortable floor, and bamboo or hardwood flooring is a perfect choice. Walking barefoot on a bamboo floor puts your feet pack in touch with what they were designed for. It stimulates blood flow to the feet, ankles, and legs; the sensation of bare skin on bamboo relaxes the body and the mind, and importantly it provides valuable exercise for your toes. So much better than wearing shoes and socks. Both bamboo and hardwood flooring are naturally warm underfoot and really comfortable for walking on with or without shoes and socks. Both score 9 out of 10. Bamboo flooring is reasonably water resistant. You can spill water on it and as long as you mop it up within twenty hours you shouldn’t experience any problems. But it is not waterproof. If you allow a pool of water to remain on the floor for a long time then it can soak into the blanks and cause noticeable damage. We recommend that you wipe up spills as soon as they occur and avoid installing bamboo flooring in areas subject to frequent wetness; it OK to install it in a kitchen, but it probably isn’t the best choice for shower rooms. It is also advisable to remove wet shoes and boots before walking on the floor. We rate the water resistance of bamboo flooring at 8 out of 10. Hardwood flooring tends to be less water resistant than bamboo. If you allow any water spills to soak into the wood, you will almost certainly damage it, and it is almost impossible to rectify the damage without replacing that section of flooring. It is important to wipe up spills as they occur and avoid walking on it in wet shoes. Certainly, you shouldn’t install it in areas subject to frequent wetness. We rate the water resistance of hardwood flooring at 7 out of 10. One of the reasons people choose bamboo rather solid wood flooring is that it is very much cheaper than hardwood. Bamboo plants are grown and harvested economically and take only five years to mature, so the raw material is naturally inexpensive. We give it 9 out of 10 for pricing. Hardwood costs considerably more than bamboo. The main reason is that that it takes very much longer to mature. Typically you need to wait twenty years before you can harvest an oak tree. 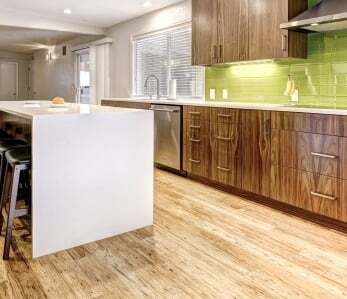 Be prepared to pay up to four times more for a hardwood floor than you wood for bamboo. We give it 6 out of 10 for pricing. It almost goes without saying that both bamboo and hardwood are natural materials. We score them both 10 out of 10. Both bamboo and hardwood flooring exhibit beautiful natural variation in the grain with a superb look and feel that oozes quality. Both are available in a wide range of styles and are highly versatile equally suiting traditional homes, ultra-modern decors, and anything in-between. We give them both 10 out of 10 for natural variation in the grain. Bamboo flooring installation should not be too challenging to anyone who is reasonably skilled at DIY but it is important to prepare the subfloor carefully before you begin. You should also acclimate the flooring planks for at least 48 hours before you start the actual installation. There are several installation options so you need to for your project. The easiest and fastest is the floating method; the nail down method is the most common and also inexpensive; while the glue down method is the most labor intensive but the most stable. If you are unsure about doing the job yourself, any carpenter or handyman can do it as long as they can read the installation instructions. We score bamboo as only slightly more difficult to install than hardwood due to it’s hardness and it’s weight, but the difference is negligible for installation purposes. For ease of installation, bamboo flooring scores 8 out of 10. 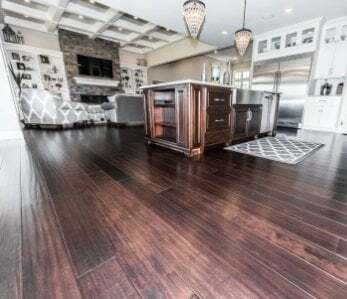 Installing solid wood flooring should be within the capability of a reasonably dextrous DIY enthusiast, or if you are will to pay a little more you can readily find a qualified hardwood flooring installer. If you are installing the floor yourself, there are a few basics to consider. It is necessary to acclimate the planks for several days, ensure the subfloor is sound and dry (moisture content below 6%), and be careful to follow the manufacturer’s instructions carefully. For ease of installation, solid hardwood gets 9 out of 10. For ease of maintenance, bamboo flooring and solid hardwood flooring both score 8 out of 10.